If you are a jello fan, this Halloween jello mold is a must. 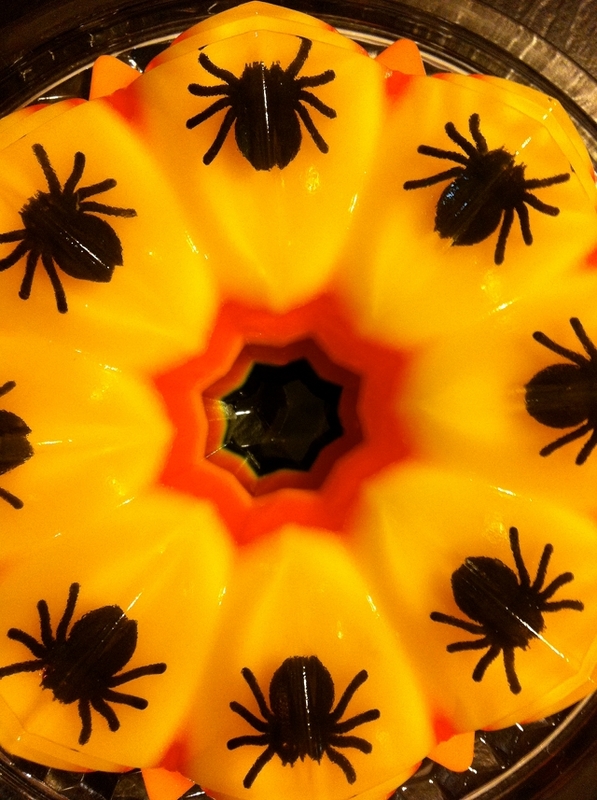 Who wouldn't want to eat Jello with creepy looking spiders embedded in it! 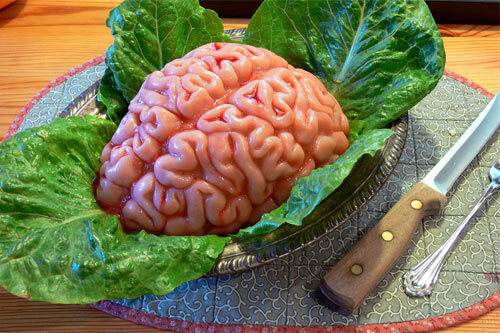 I will take it over the Jello brain any day. You can check out the spider Jello tutorial over on Manhattan Craft Room. My ten year old daughter saw this and said, "Brain appettit!"